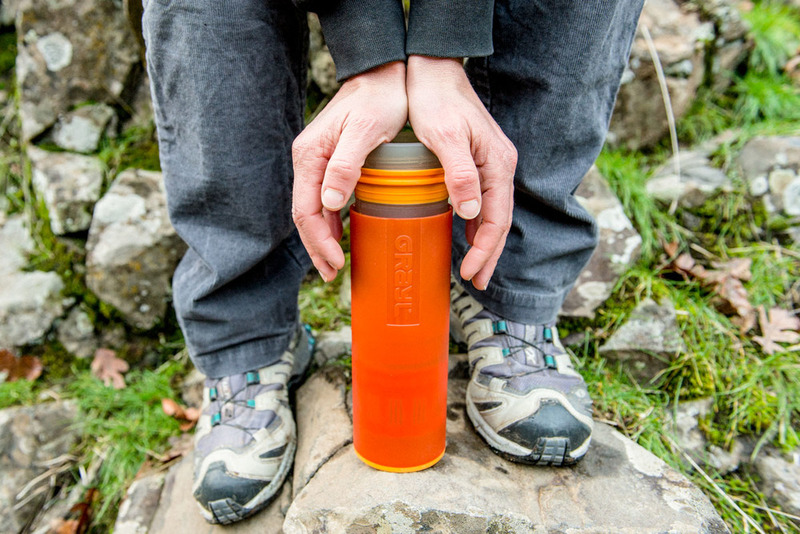 As a "light prepper", lover of camping and traveler, I have been looking for the ultimate water filter/canteen/bottle for years. I have tried over 50 different solutions over the last 10 years and although some did better than others, most left me wanting more. Most of my readers are young professionals so here is the scenario for you. You just finished a long day while travelling and finally came back to your hotel room. All the shops nearby are closed and you want some fresh clean water. Do you drink tap water (which often tastes bad) or do you pop open one of those $8 bottles the hotel strategically places in your room? Now imagine the situation when you are travelling overseas. The water quality is often questionable. This meant I had to filter the water with the Sawyer mini first then zap it using Ultraviolet light (UV Sterilization) with my Steripen. Taste didn't improve, the solution didn't remove contaminants but at least I was unlikely to get sick. But my onebag travel (carryon only) means I sacrificed other comforts to make room for these 2 devices. Following the recommendation of a trusted acquaintance, I picked one up during one of my trips to the USA (I picked up the Quest model but all of them filter exactly the same way). The Grayl promised to filter and purify the water easily and in a compact package. The Grayl water filter and purifier offers 3 very different filters (all filters will work will all models). The filters are Tap (blue), Trail (green) and Travel (orange). I use the Tap (blue) $15US filter when in locations with known clean tap water to remove some chemicals (e.g. chlorine, iodine) and heavy metals (e.g. lead, arsenic). 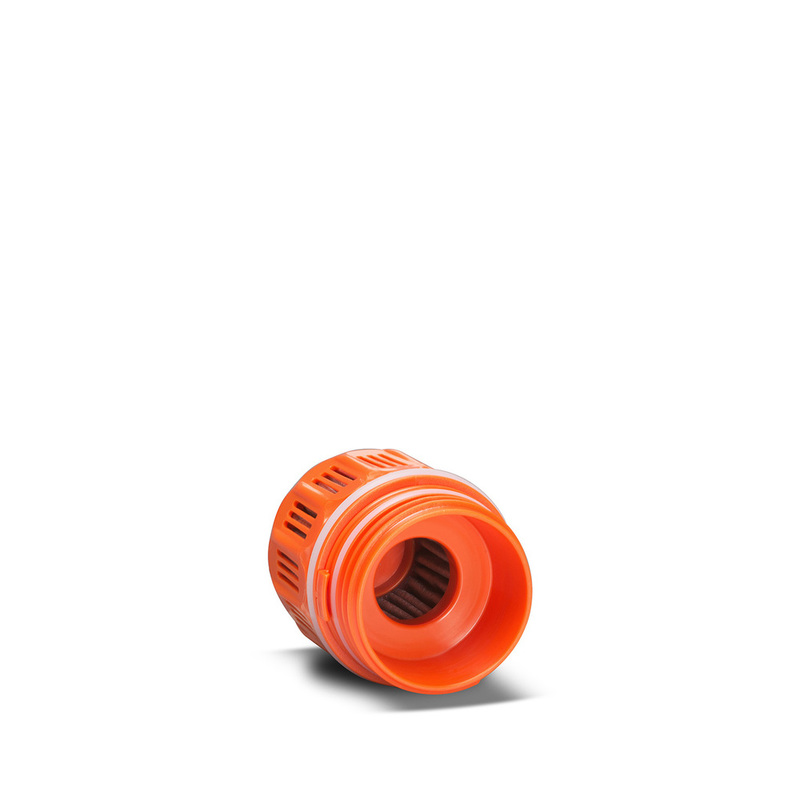 Anywhere else, (Camping or travel), I use the orange $25US Travel filter that provides the maximum filtration. Using the tap filter costs about $0,10US/L while the Travel costs $0.17/L. Each filter is good for 150L. The Trail filter cost's $20 but is being discontinued. I tried the Travel filter in a local lake and it worked like a charm. I tried it with very strong smelling well water (caused by Hydrogen sulfide) and the resulting water, using the Travel filter, was clean no smell fresh tasting water. The process is simple and straight forward. No sucking, squeezing, or zapping. You fill the outer container with your tainted water, insert the middle section and press down. The Tap filter is easier to push and takes about 7 seconds. The Travel filter provides more resistance, more filtration and therefore takes a full 30 seconds. You don't have to count, the resistance from the filter will guide you. You just press down with a reasonable amount of force and let it do its job. You can then drink directly from the top of the bottle or pour it into a canteen (which I don't do). You fill the outer shell with the "dirty" water then press the inner-core filter section down like a french press. It is important to make sure dirty water from your hands doesn't contaminate the inter tube (where the fresh clean water is stored). If using water with lots of sediment, I recommend using a handkerchief or bandana as a pre-filter, to prolong the life of the filter. The Grayl fits in a standard car cup holder or the bottle holder of most bags I have tried it with, so no worries for day to say use. It was hard to find anything negative to say about the Grayl. It has become my everyday carry water bottle. There is no automatic reminder to change your filter. They say it is about 3 months of use when used 3 times a day but it will be easy to lose count in the field. I don't know how they can add a counter but it is something to keep in mind. Because of the design, it holds less water than you would expect at first glance. It carries 473ML. This is in no way a show stopper but something to keep in mind if using it in areas with limited water, You may need to carry additional untreated water in another water bag.